Feel Calm, Relaxed, Balanced, Serene… yet Energized and full of Vitality! 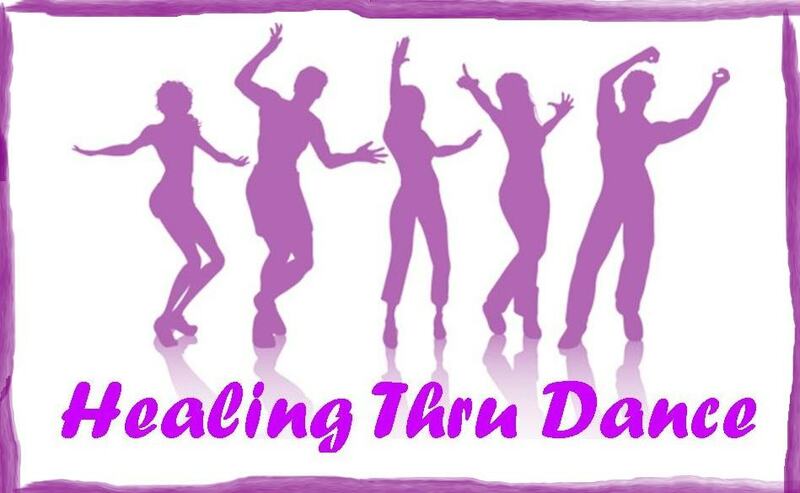 One-on-One: Experience the Ultimate in Nurturing Healing! Shin Dao (Heart Way) Sessions open the doors to a New Path of Health and Happiness. Whether you are bothered by an inexplicable physical pain or condition, suffer from emotional trauma, feel ‘out-of-sorts’ or are completely stressed-out (feeling frazzled, and worn), your Shin Dao Session is guaranteed to be a pleasantly relaxing experience that brings you into a state of peace, calm and balance. Your caring Spiritual Healer, Tina (named Woman Who Dances with Light in an indigenous drumming ceremony), has a talent for making you feel safe in her sacred space, where she combines powerful healing modalities, such as Sound Wellness (a holistic modality that uses techniques based on sound and music to bring the body, mind, emotions and spirit back into harmony so that healing can take place) and The ReConnection (Reconnective Healing is a highly evolved form of energy interaction that advances your health, balance, and expanded consciousness) along with heart-based Intuitive Spiritual Guidance and Insights to facilitate your healing on many levels. You’ll not only feel lighter, more balanced and whole, you will receive tools and techniques to take home to keep you in a balanced state of harmony. Each Shin Dao Session is a truly unique experience that provides healing at deep and meaningful levels, often resolving the root cause of your issue, effectively eliminating the need for on-going treatments. Book on-line below or contact Tina directly at 403-285-5266 . Heal your Body, Mind and Spirit in Safe and Sacred Space through a truly unique, spiritual, closed-eye journey of Connection, Transformation and Freedom! Experience the magic of Healing Energies and Messages received and transmitted through your facilitator, Tina Thrussell. Contact us to book a Galya Journey for your group, or to find out when you can participate with another group. Your body has full capacity to heal itself. Have you ever cut your finger or broken a bone? While your doctor may have used a few tools to help your body – applied a bandage or a cast, for example – in the end, your body did the healing for itself. So, in this way, Tina acts as the ‘Spiritual Doctor’, accessing the tools to help your body heal itself. Often, this involves accessing and clearing the root emotional, spiritual or mental cause for an ailment and clearing the energy of that root to allow the physical healing to happen. Everything is energy, including your thoughts and your body. All energy resonates at different frequencies. Your body – each and every individual body part – has its own natural resonance, and when you have negative thoughts, or experience external energies that disrupt your natural frequencies, you experience physical, mental and emotional discomfort. During your Shin Dao Session, Tina will intuitively ‘read’ your energy frequencies and use a variety of tools to help restore your natural resonance. 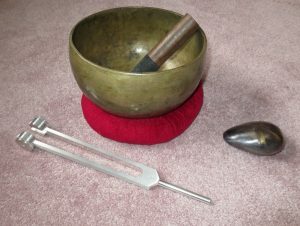 It is scientifically proven that Sound affects you far more deeply than you consciously realize, which is why various sound tools – such as tuning forks, singing bowl, drumming, songpod, birdsong and voice – will likely play an integral role in your session. In addition, Tina will likely draw upon Light energies – and the assistance of those aligned with the Source of All That Is (such as angels and guides) – to assist your healing. You may be asked to simply lie back, relax and allow, or you may be asked to stand and make specific movements. You may be asked to hold a Crystal or two to amplify the energies. You may be be guided to make affirming statements and to breathe in a particular way at various points in your session. You may experience tingling, see visions, colors or images or you may simply feel warm, comfortable and relaxed. But we can assure you that your session will be a thoroughly enjoyable experience! Your session is guaranteed to be a unique and pleasant experience with long lasting effects, especially if you engage in the recommended ‘exercises’ that may be prescribed for you to continue your healing journey on your own. Why wait for relief? Receive the best solutions for your issues through a truly unique and delightfully pleasant reading experience to avoid making mistakes and wasting time. “Yours is the best reading I have ever had! You made the space comfortable and inviting in a trustworthy way. The reading was so relevant to the issues I had and very personal.” – Patricia A. Feel a Calming sense of Certainty and Serenity about your future through one of Tina’s readings. Accurate guidance and advice provides an Action Plan for your life that leads to better Health, Joy and Fulfillment. Your session includes a vibration-raising sound bath with Tina’s ‘songpod’ (sounds like fairy bells and makes you feel wonderful! ), access to information from Higher Sources through a broad variety of Divination decks/Oracle cards, and a recording of your reading so you can revisit the information provided in the session. Readings may be done in person, via Skype or over the phone. “Without Tina knowing anything that had recently happened, the reading touched upon events in my life. It guided me and helped me to figure out what I need to do and can do. It helped me to think clearly and block out negatives in order to be calmer and more rational.” -Nina S.
For a unique celebration or girls night out, book an ISGI Party! Tina will do individual readings – but in a group! – for up to 8 people. It’s fun and an interesting way to get to know your friends a little better. Call 403-285-5266 for more information. “Calm.” “Peaceful.” “Serene.” “Content.” “Wonderful!” “Energized!” “Awesome!” “Whole.” These are the one word replies people have offered to the question, “How do you feel?” after their session. Your session includes a written summary of insights, recommended ideas, exercises and/or activities for your continued engagement and progress, and may include the use of singing bowl, tuning forks, frame drum, voice, crystals, aromatherapy, ReConnection, Reiki, Light Energy… all based on what you need in the moment. Note: Although you may experience any number of the above-listed benefits, and perhaps even benefits beyond what is listed here, there is no guarantee that any you will receive any particular result you are looking for. The Divine delivers what you need, not necessarily what you want! Pressed for time? Want to feel Calmer, more Balanced and Joyful without spending an hour in a session? Experience the relaxing, yet energizing effects of a mini-HALS session. These quick sessions provide amazing results and receive rave reviews!